The fifth film in a series of shorts by Made by Hand was released today. It was directed and produced by Keith “keef” Ehrlich and edited in Final Cut Pro 7 by editor Matt Shapiro. The film details the story of bike maker Ezra Caldwell and his fight with cancer. After doing his offline edit, Shapiro had his color correct done by Jamie O’Bradovich at Company 3, New York. He got his files transfered to Apple Prores 4444 and turned to reLink reTooled for the conform and relinking process. The Project that Wasn’t at NAB – reTooled.net Joins AOTG for an Interview! by Josh on May 01, 2013 in Miscellaneous, reLink reTooled with Comments Off on The Project that Wasn’t at NAB – reTooled.net Joins AOTG for an Interview! It hasn’t made it to the iTunes version yet, but check out the link to the official podcast. 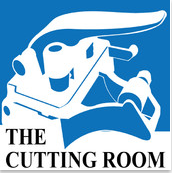 Rate The Cutting Room, and show your support!